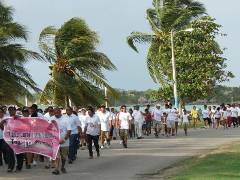 There has been a Corozal Cancer Support group since 2010, but it is now official, it is the Belize Cancer Society Corozal Branch. Friday and Saturday were significant days for those involved in fighting the disease, supporting those with the disease and their families, and improving cancer awareness. It is no longer a death sentence! You will be hearing more from this dynamic and productive group of decidated medical professionals and citizens. 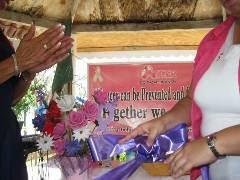 The Belize Cancer Society Corozal Branch had its official launch and ribbon tying on Friday, May 25, 2012. See the page here. On Saturday, over 200 people showed up for a march for cancer awareness. See information and pictures here. 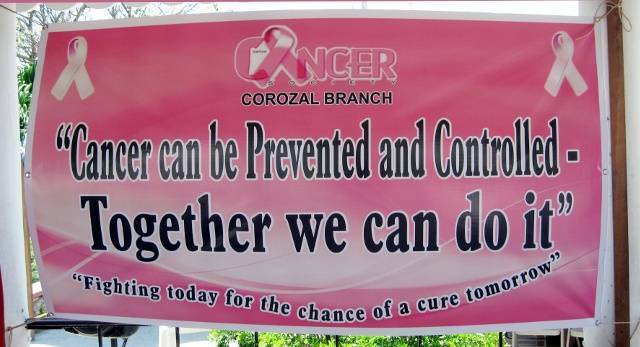 Printed from https://corozal.com — Corozal Branch Bz Cancer Society.